The Aragbiji of Iragbiji, Oba Abdul-Rasheed Ayotunde Olabomi has affirmed the readiness of Governor Gboyega Oyetola's led administration to roll out activities in preparation for the 2019 planting season in order to boost food production. The traditional ruler disclosed this while declaring open the Agricultural Summit for Farmers at the Iragbiji town hall Boripe local government area of Osun state. 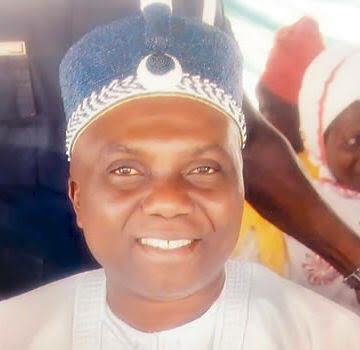 The Summit which featured lectures on start off loan acquisition, mechanised farming, Organic food cultivation, food sufficiency, food security and planting expertise was organised by the Aragbiji of Iragbiji, Oba Abdul-Rasheed Ayotunde Olabomi in collaboration with Osun Ministry of Agriculture, Association of Growers Processors and Exporters Association of Nigeria. "We are having this summit and sectionised workshops for farmers, aspiring growers and ordinary people whose interest could be awaken in line with the food sufficiency program of the Governor Gboyega Oyetola's led administration and his agenda on Farm settlements, Agricultural products processing and Agricultural produce market. We urge all Osun residents to explore this opportunity as there are incentives provisioned for by the Osun Government. ' Oba Ayotunde Olabomi added as he declared the Summit opened. Addressing the gathering, the Director of Agric Services, Osun ministry of Agriculture, Food security and Youth development, Mr Oladepo Ola listed the opportunities available to Osun farmers and aspiring growers on loans and accessibility to standard crops which cannot be rivalled by any other state of the federation. He commended the effort of Governor Gboyega Oyetola on subsidisation, provision of enabling environment and incentives being given farmers. He urged all attendees and intending farmers to visit the Ministry of agriculture for enrollment and progress monitoring . Comrade Abdul-Kareem Aderemi, one of the guest speakers shed light on new and advanced ways of farming , grooming, getting farm produce to the right market, as well as employing technology for maximun yield. He made exposé on gold mine crops like Castor oil plant, Cocoa etc. Honourable Ajayi Tope, the president of Jahtropher growers in Osun spoke on the economic gains, Clean organic energy and ecological benefits of the Jahtrapher plant locally known as Lapalapa. Emphasis were laid on ensuring the Organic growth of all Produce, Organic fertilizing, the nutrition of feeding on organic edibles, as well as the education on planting and application of regulated non edible produce as part of the prequisites mandated by the State of Osun government . Present at the occasion were the entire Aragbiji-in-Council, the Baale Agbe of Iragbiji kinddom, Chief Peter Adewoyin, Iragbiji townspeople, aspiring growers, and other Stakeholders. The Olororuwo of Ororuwo Oba Qamarideen Adeyemi Adeyanju Alawode IV and the Atapana of Iyeku Oba Salaudeen Soliu Ajiboye in their goodwill messages praised Governor Gboyega Oyetola's progressive ideals. They were unanimous that food security would be achieved by the state in record time. The day one of the summit closed with lectures on traditional mode of cooking and its benefits ; this was delivered by the Iyalode of Iragbiji land Chief Mrs Folorunso Tinuade .